Fast. Pure. Emotive. 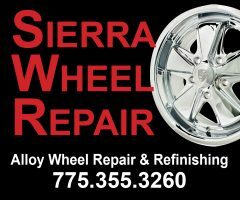 For the past 70 years, the Porsche brand has been synony-mous with sports car construction at the very highest level. 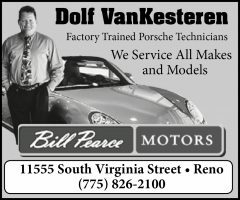 The first vehicle to bear the Porsche name was registered on June 8, 1948: It was the 356 “No.1” Roadster. This is the day on which the Porsche brand was born. 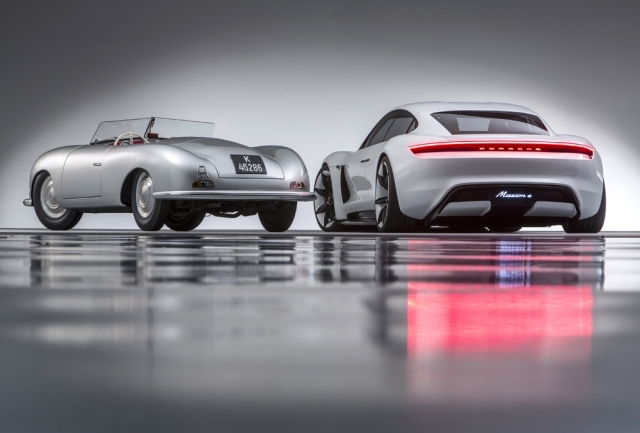 The Type 356 turned Ferry Porsche’s dream of a sports car into a reality. 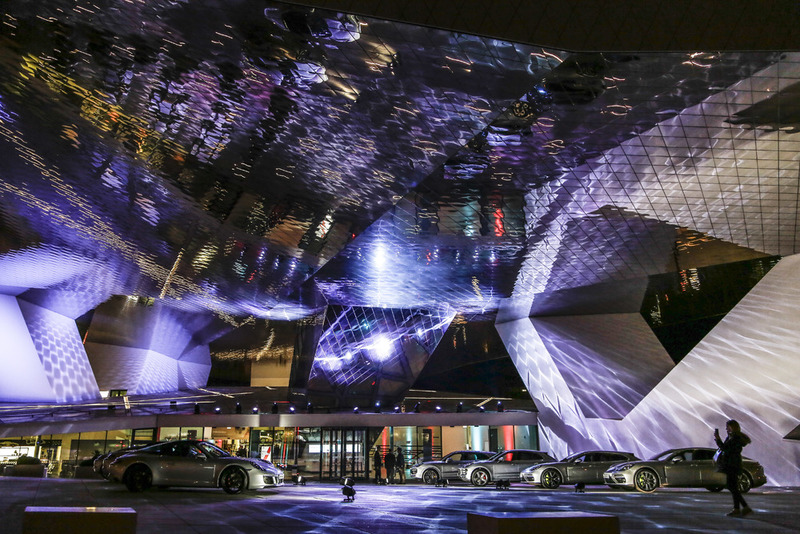 “His vision at that time embodied all of the values that still define the brand to this day”, said Oliver Blume, Chairman of the Executive Board of Porsche AG, at yesterday’s New Year Reception at the Porsche Museum. 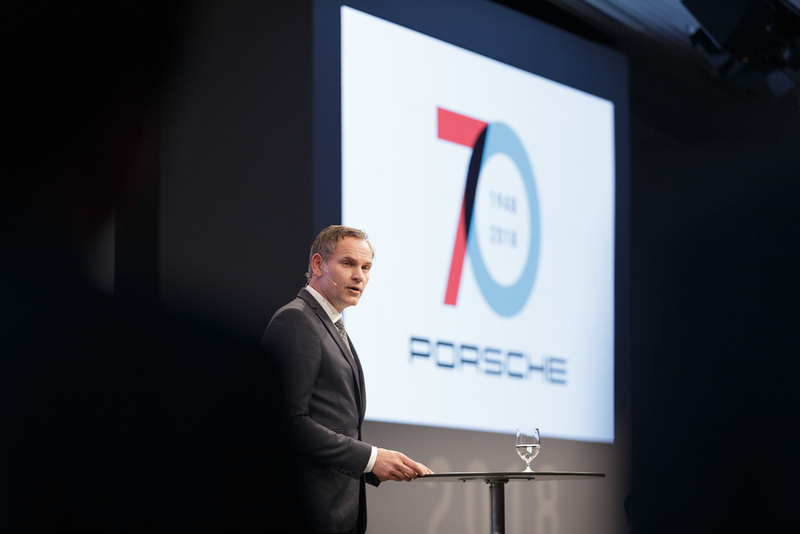 Representatives from the state of Baden-Württemberg as well as from the city of Stuttgart and the worlds of politics, economics and society, joined Porsche to celebrate the beginning of its anniversary year with the slogan “70 years of the Por-sche sports car”. The history of the Porsche brand begins in 1948. Yet the foundation of the sports car manufacturer is built upon the life’s work of Professor Ferdinand Porsche – work which his son Ferry then continued. Ferdinand Porsche had already designed pio-neering innovations for the automotive industry as early as the start of the last cen-tury. In 1900, he built an electric car with a wheel hub drive known as the Lohner-Porsche, a vehicle on which he would then base the world’s first all-wheel-drive passenger car. In the same year, he created a template for hybrid vehicles with the development of a mixed petrol-electric powertrain. In 1931, Ferdinand Porsche founded his own engineering office. The “Berlin-Rome Car” showcased in 1939 was the beginning of his idea for a sports car bearing the Porsche name, although this dream was only realised by his son Ferry in 1948 with the Type 356. The future of Porsche sports cars is already coming up to the starting line in the form of the Mission E, the first purely electrically driven technology champion from Zuffenhausen. This concept vehicle combines the distinctive emotional design of a Porsche, exceptional driving performance and forward-thinking everyday functional-ity. The four-door model with four individual seats delivers a system performance of over 440 kW (600 hp) and a range of more than 500 km, acceleration from 0 to 100 km/h in less than 3.5 seconds and a charging time of around 15 minutes for 80 per cent of the electrical energy required. Porsche has invested around one billion euro in this futuristic project, creating more than 1,200 additional jobs just at the head-quarters in Stuttgart-Zuffenhausen, where the Mission E will be built. 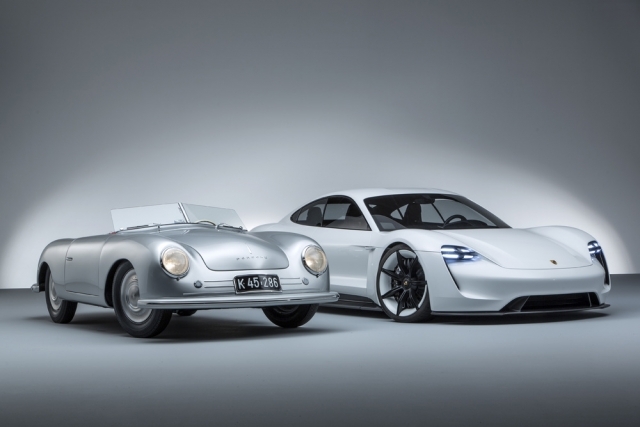 “Porsche will always be Porsche – the leading brand for exclusive, sporty mobility”, reinforces Blume. Porsche is celebrating this year’s anniversary with numerous activities around the world. 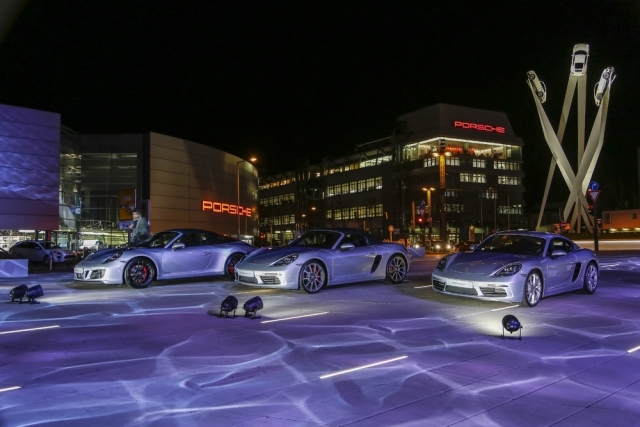 On February 3 “The Porsche Effect” will open at the Petersen Automotive Mu-seum in Los Angeles. In Germany, the first “70 years of the Porsche sports car” ex-hibition will open from March 20–31, at “DRIVE, the Volkswagen Group Forum” in Berlin. The Porsche Museum will also be holding its own anniversary celebrations with a comprehensive special exhibition opening on June 9. On the same day, Por-sche will be inviting sports car fans to its “Sports Car Together Day” at all of its sites around the world. 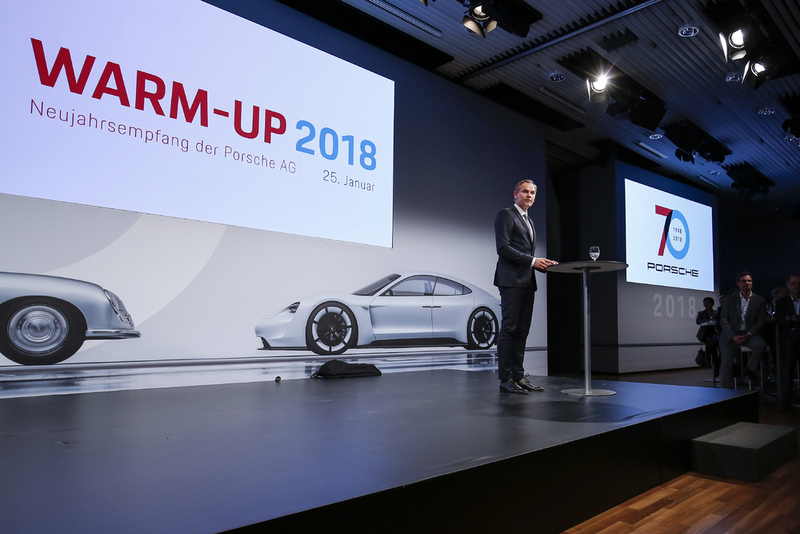 For the weekend of June 16–17, the sports car manufacturer will host employees, residents of the Zuffenhausen district and prospective customers to a public celebration in and around the Porsche Museum in Stuttgart. The “Festival of Speed” held from July 12–15, at the Goodwood race track in the UK will also cele-brate the anniversary, as will the “Rennsport Reunion” in California from September 27–30. The celebrations will conclude with the “Sound Night” event to be held for the first time in the Porsche Arena in Stuttgart on October 13. Further information is available at www.porsche.com/museum/en/.